Haldiram is a one of the india's most biggest snack company that has a worldwide popularity. 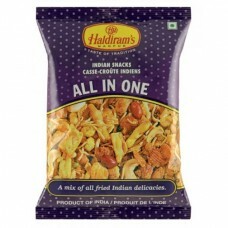 This snack is a mixture of all the other snacks and nuts. It quite tasty and crunchy. It goes well with coffee, chai,juice and some cocktails.